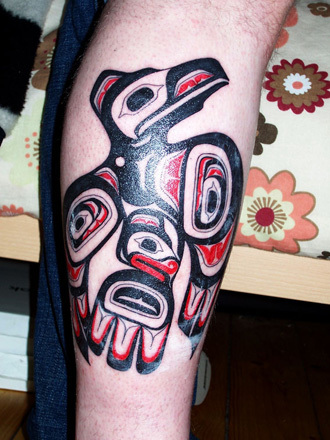 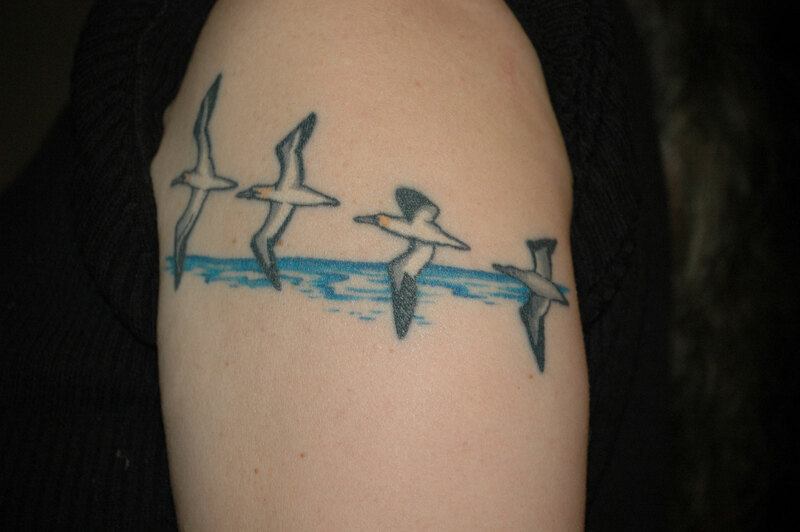 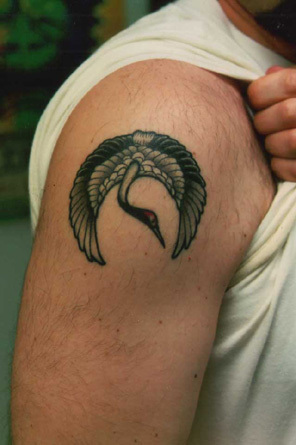 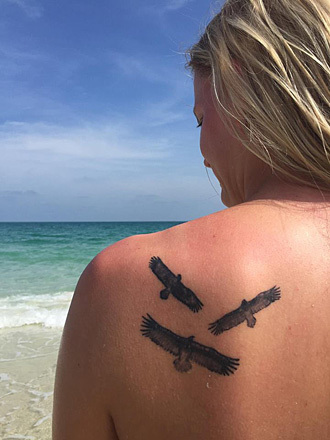 This is where I present a collection of cool birding tattoos. 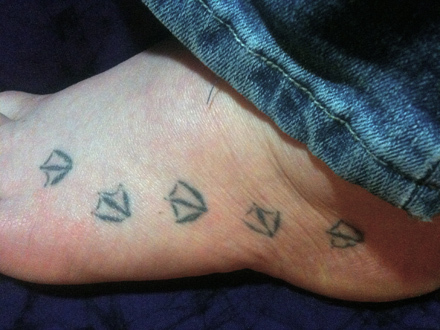 Send me a mail if there's one you'd like to add. 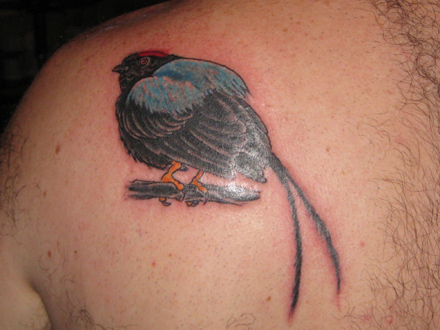 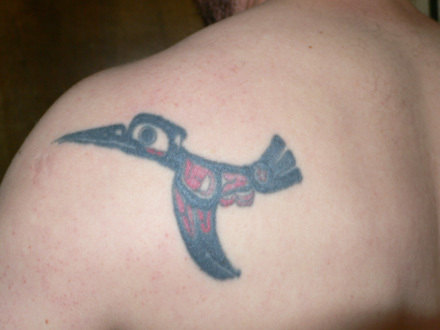 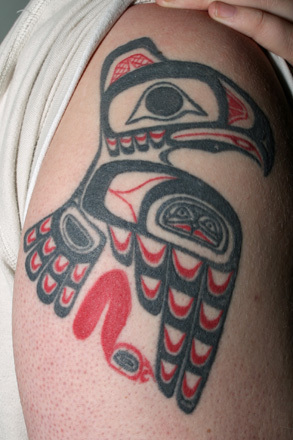 The variety of bird tattoos is large - from accurate representations of favourite species to more stylised renditions. 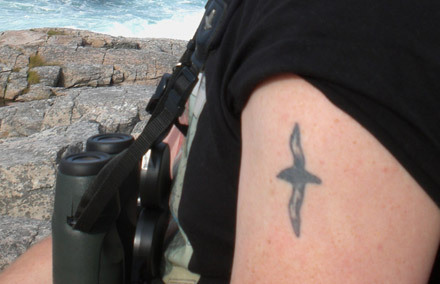 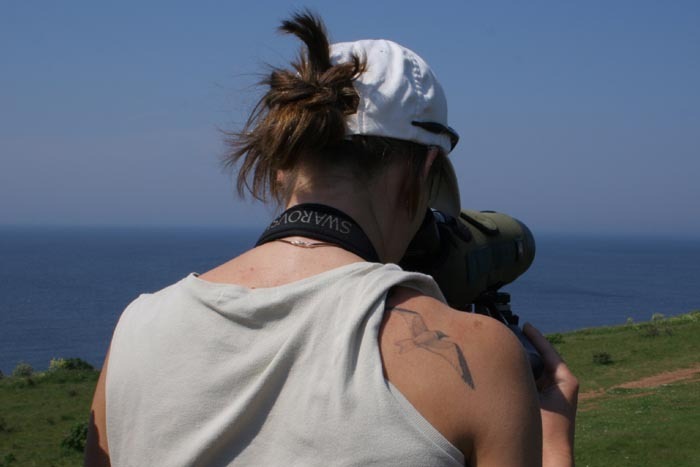 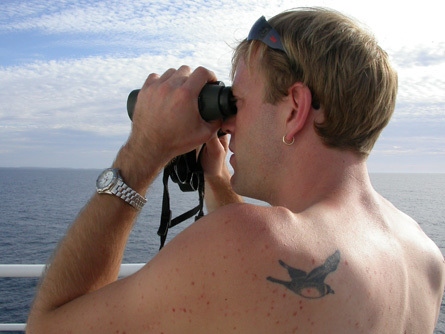 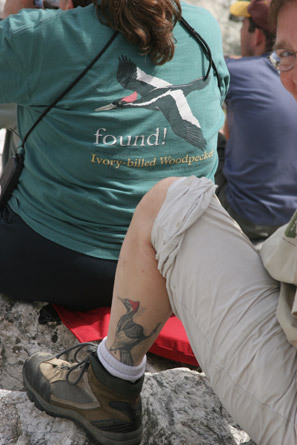 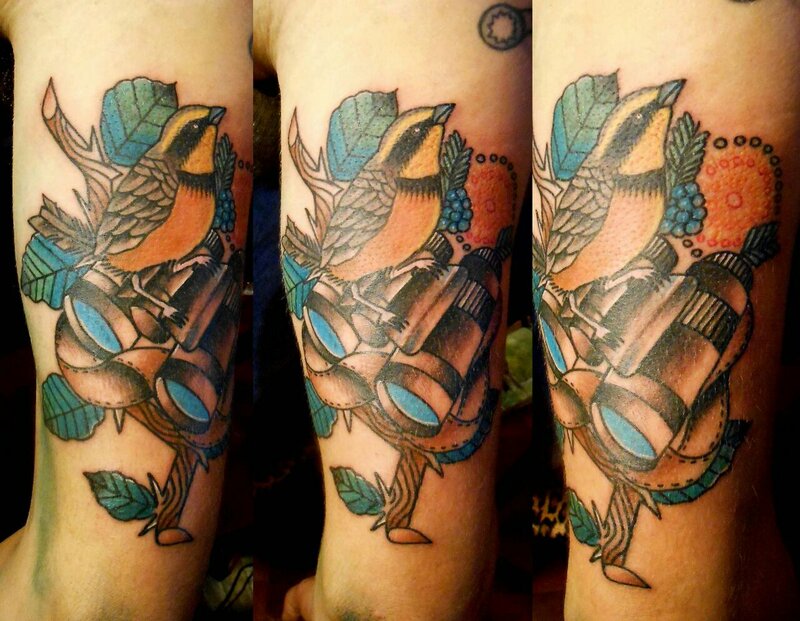 A true birder's tattoo as it even includes binoculars! 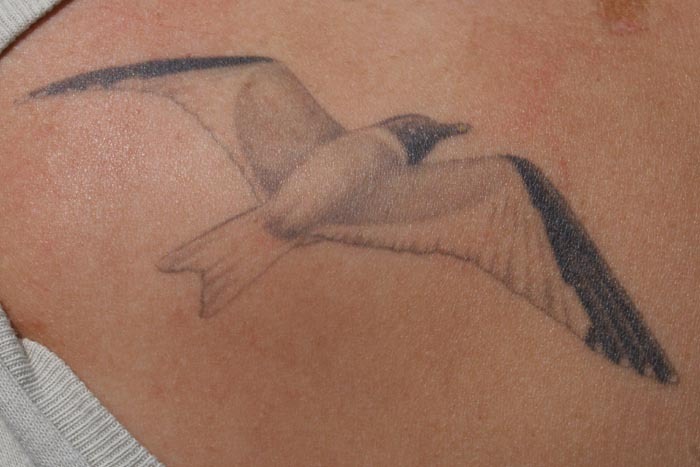 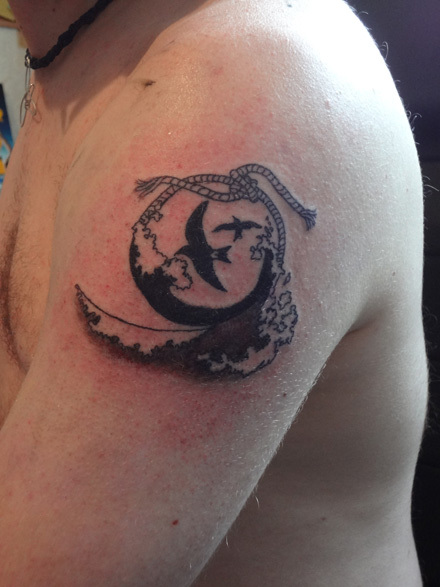 Grant Humphrie's tattoo of a Leach's Storm Petrel in a storm.